It’s not unusual for explorers to find ancient fossils in the area around Chartmouth on the south coast of England. The village is at the heart of the UNESCO World Heritage Jurassic Coastline, where nearly 185 million years of the Earth’s history is on display in rock formations. 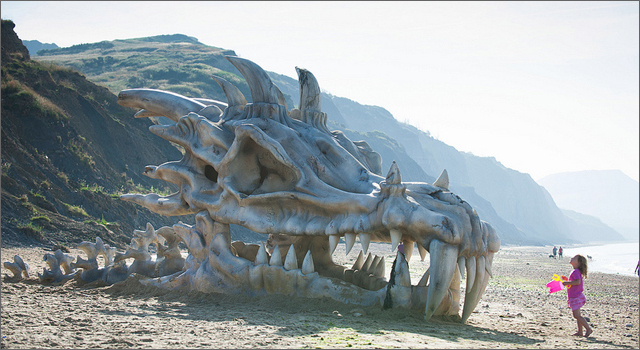 But even the most experienced fossil hunter was forced to do a double take as a dragon skull the size of a bus appeared in the sand. 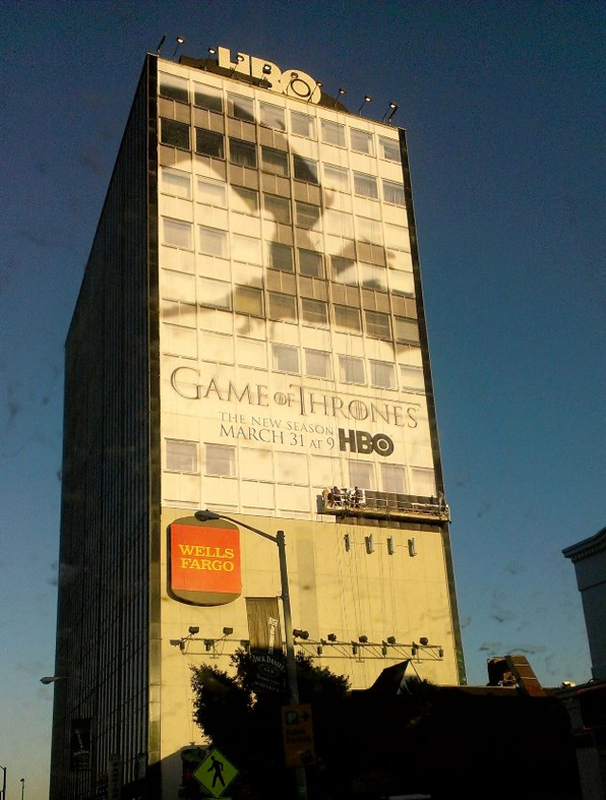 The skull, measuring 40 feet long and over 9 feet tall, is a promotion announcing the arrival of the third season of HBO’ Game of Thrones on TV streaming service Blinkbox. The promotion was created by London PR company Taylor Herring, and took three sculptors nearly two months to design, construct and paint. Busy commuters rushing through Toronto’s Union Station can’t be blamed for doing double-takes as they head for their trains. 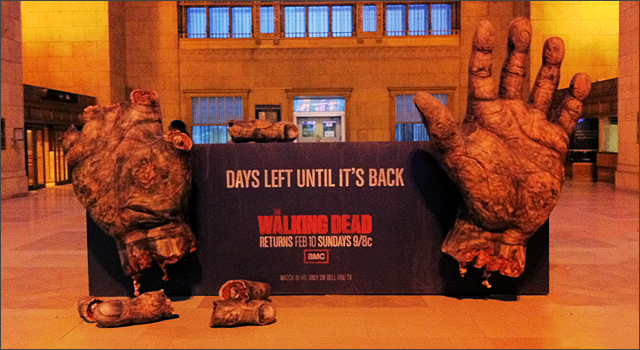 A massive pair of dismembered hands have been installed as part of a campaign promoting AMC’s The Walking Dead, which returns for the remaining 8 episodes of Season 3 beginning this Sunday, February 10. Each day one of the grizzled fingers will be severed, and go up for grabs to Walking Dead fans who tweet a picture of themselves in front of the hands using the hashtag #TWDFEB10. 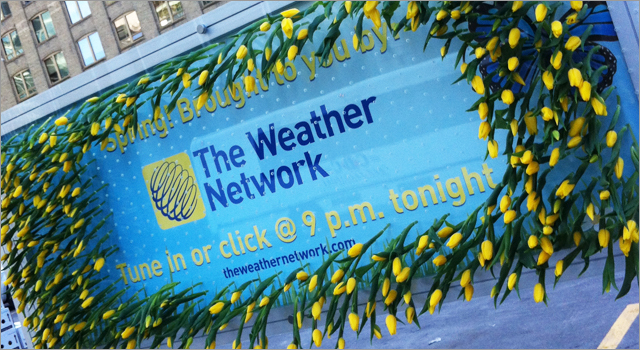 The agency behind the countdown is Leo Burnett Canada. The Walking Dead is back for Season 3 on October 14, just in time to inspire more nightmares and plenty of Halloween costume ideas. The show is also part of inspired partnership with the American Red Cross, to encourage blood donation with the ‘Use Your Brains. 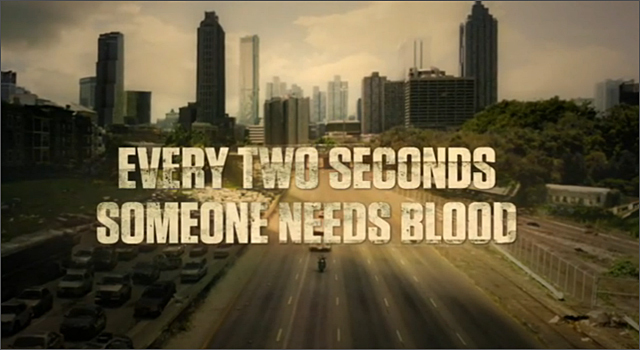 Give Blood’ campaign. From September 24 to October 22, all blood donors at participating American Red Cross centers or blood drives are eligible to enter to win a trip to the set for a behind-the-scenes look at the show. To further help promote the campaign, the show’s co-executive producer and special effects makeup designer Greg Nicotero created digital zombifications to several celebrities including Peter Jackson, Jimmy Smits and The Black Keys. It would be tough to top last year’s promotion for the season 2 premiere of Boardwalk Empire, which saw HBO partner with the MTA to run a prohibition-era subway train (complete with Boardwalk Empire-inspired ads) between 42nd and 96th streets in Manhattan. But, for two days last week, Uber users in Manhattan were able to request free rides in a vintage Rolls Royce, Bentley, Cadillac, or one of the other 1920s-era vehicles. 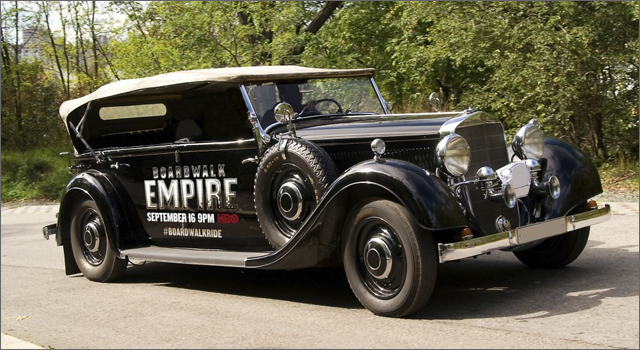 Check out photos of the cars using the hashtag #Boardwalkride. 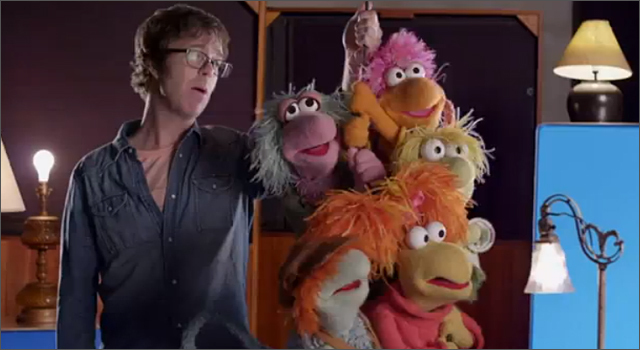 It’s been nearly 10 years since Ben Folds Five amicably broke up, and it’s been over 25 years The Fraggles closed up the Rock. Both are back in 2012, and they’ve been teamed up for ‘Do It Anyway’, the first video of of Ben Folds Five’s album ‘The Sound Of The Life Of The Mind’. Also along for the ride is Rod Coudry, as the incompetent session producer, Up In the Air’s Anna Kendrick sporting a BOY GORG tshirt for the occasion; and and head-Nerdist, comedian and host of the Talking Dead, Chris Hardwick. The video opens up with a report from Uncle Travelling Matt, who is attending a gathering of the silly creatures who are performing a fascinating musical ritual. The band begins performing the rollicking new number ‘Do it Anyway’, sending dust and rocks raining down on the Fraggles below. An errant microphone cord drops through a hole in the floor, providing an opportunity for the two worlds to met, and soon enough the band is rocking with the whole Fraggles gang. Watch and enjoy, then check out the ‘Making of’ video embedded below’. 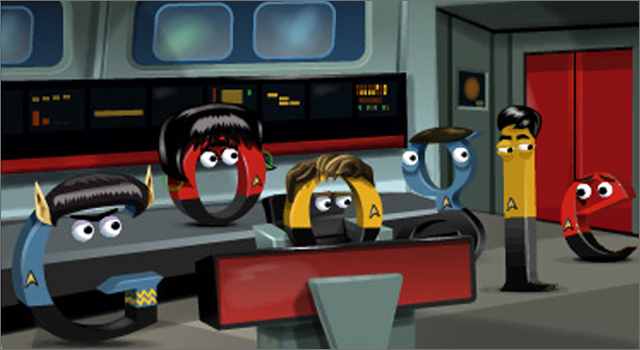 The video was produced by the folks over at Nerdist Industries. Between January and November, 2011, US pet insurance provider VPI received over 6,500 claims of pets swallowing foreign objects. The list of objects recovered include everything from a scented candles, an unfortunate GI Joe and a wedding ring. As any pet owner knows, surgery to remove a foreign object from the stomach on intestine of a pet can be expensive, as much as $1,900 according to information on the VPI website. The insurer provides an article on how to spot whether your pet has swallowed a foreign object and some steps to help prevent the problem from happening. 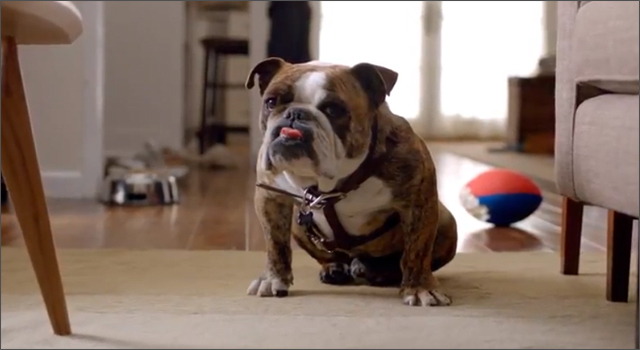 Speaking of pets and foreign objects, Volkswagen’s new spot for the 2013 features the case of a missing set of car keys and a guilty-looking bulldog. Based on the reaction of the owner, this may not be the first time that something has disappeared around the house. The song in the ad is ‘Dirty Old Egg Sucking Dog‘ by Johnny Cash. 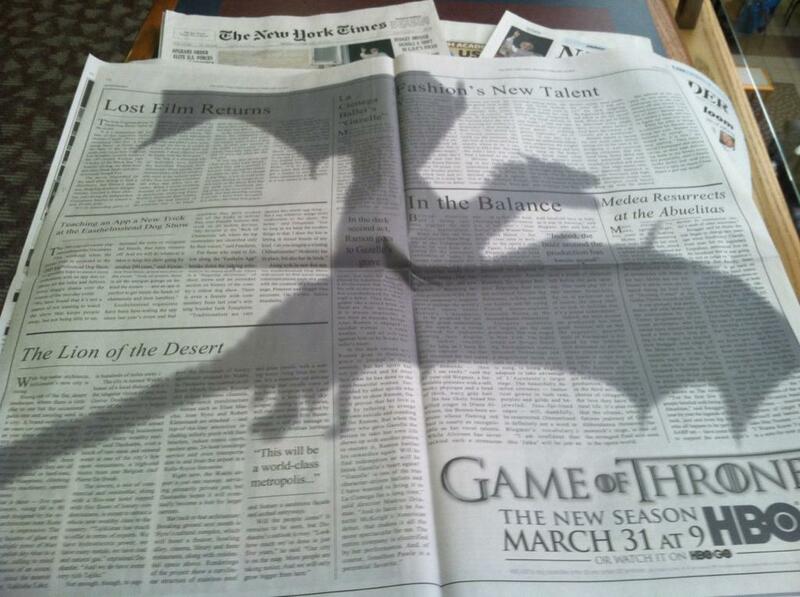 The ad was created by Deutsch LA.